I would like to discuss the importance of clean and dry filtered air. 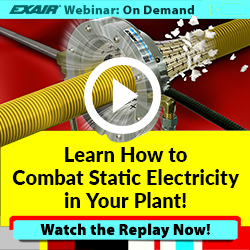 This all comes from some discussions I have had with customers over my time here at EXAIR, as well as from my time in the machine tool industry. It is notable to state that we simply ask for clean/dry air to run through our products, not “instrument” or “process” air which is typically held at a different pressure, temperature, or volume and can be more expensive to generate. All of EXAIR’s products use general plant air and can be cleaned up with simple point of use filters. Clean and dry compressed air is essential for ensuring a long and easy life of almost any compressed air product. One product in particular that I have some data on is the EXAIR Line Vac. 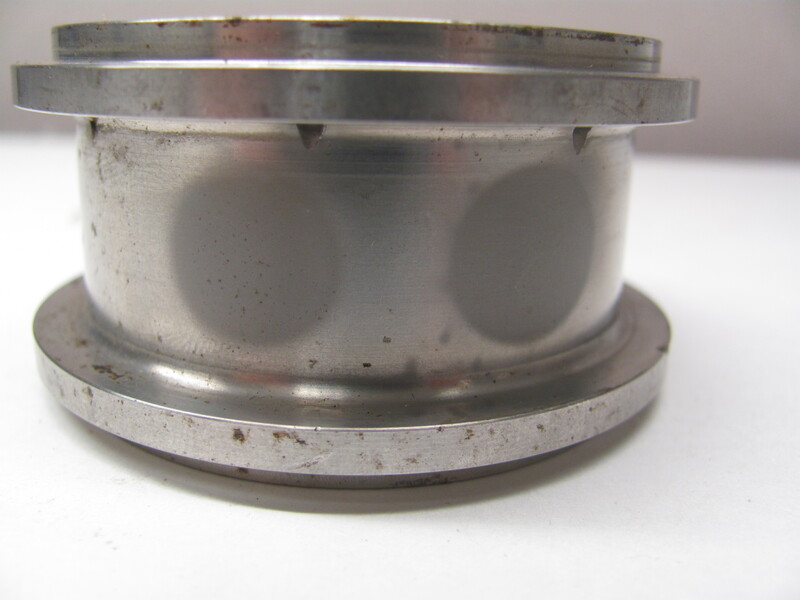 The pictures below show the inside wall of a Stainless Steel Line Vac. This unit was used in a harsh outdoor environment. The compressor was not maintained and did not have any form of filtration on the lines feeding the Line Vac unit. The first picture shows where all the dirt and particulate were impacting the internal generator wall as it entered the air chamber. The two dark grey marks are actually the impact points on the unit. There is only one air inlet on the Line Vac, this means that the unit was taken apart during the two months and actually inspected then put back together and the generator was rotated slightly during this process. 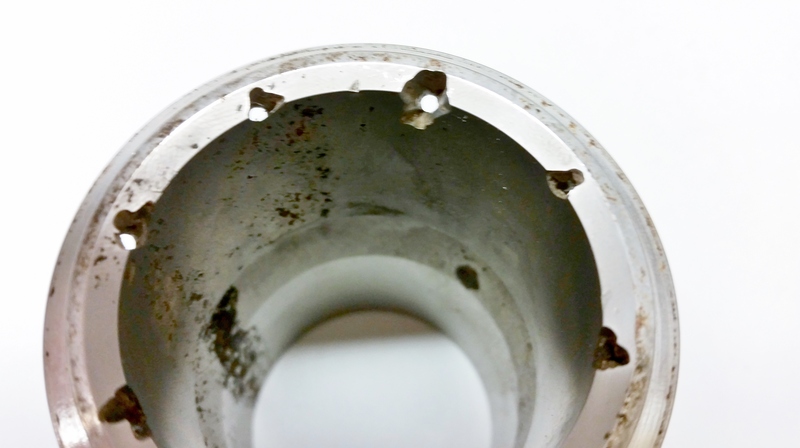 These spots are similar to what sandblasting does to metal, just to illustrate how much particulate was in the air stream. Since the air has not yet reached its full velocity within the Line Vac, it has left only those visible surface blemishes. As the air begins to exit the array of small generator holes it begins to rapidly increase in velocity while it is trying to expand to atmospheric conditions. Because of this increased velocity, the wear the generator holes experience is greater and as seen below it is causing some extreme wear. To give you an idea of what a new generator should look like is below. 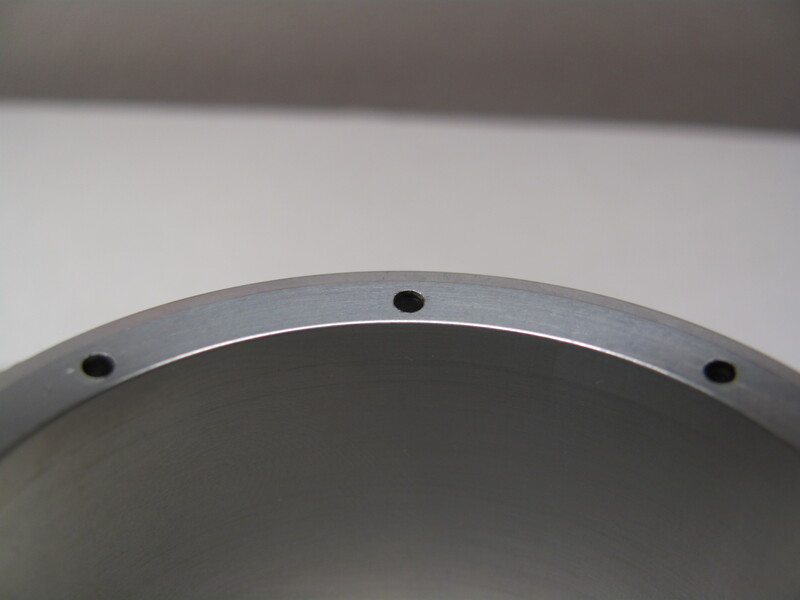 Here you can see uniform holes that go precisely through the generator. To prevent a disaster like this from happening to your end-use compressed air products, all you need are some simple, low maintenance filters. EXAIR offers dirt / water filter separators that will filter your compressed down to 5 micron particulate size. 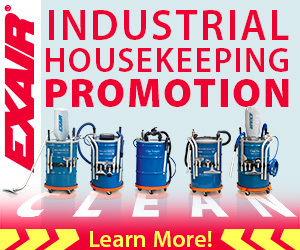 The will catch the good majority of rust, water, and dirt within your compressed air system. Then you can also install an oil removal filter which will filter all oils and particulate out of your compressed air system down to 0.03 micron particulate level. Each of these units are great point of use filtration to keep any of your processes from experiencing what this Line Vac experienced. If you have any questions about the quality of your compressed air or why you are seeing failures in product on your compressed air system, contact us.